141) Bike series (10/10). And with this shot, we bring the latest bike adventure to a close. 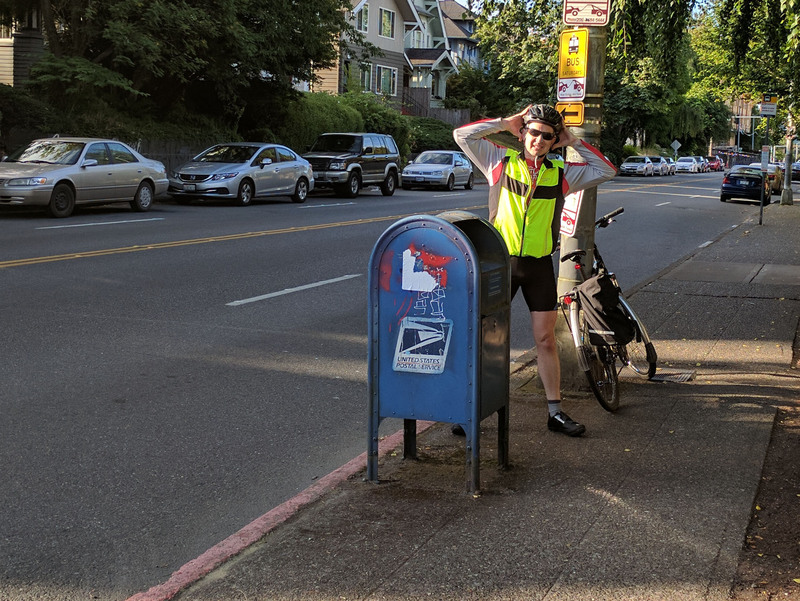 Interestingly, this particular box wasn’t even on my map… I was gleefully riding away from the U-district and saw the distinctive blue metallic glint shimmer from the side of the street. Do I dare stop and pick up an unplanned box? Yes, I do dare! I do!